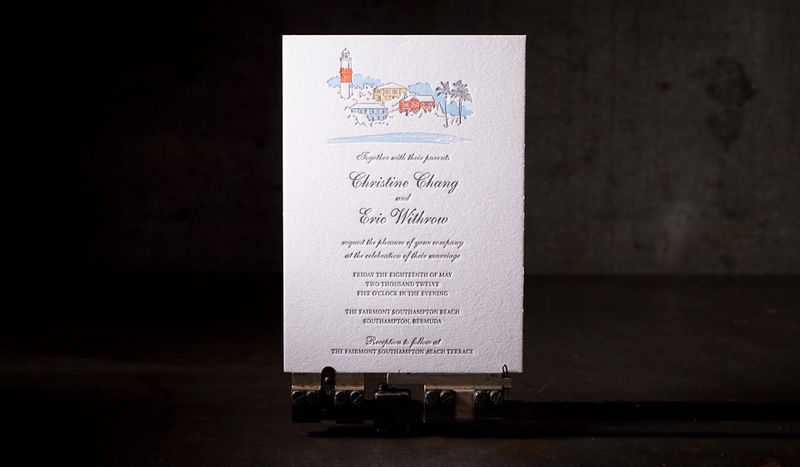 destination wedding invitation with 4 letterpress inks. designer: Elizabeth Whelan. client: Elizabeth Whelan, illustrator. 4 letterpress inks (cool gray 10u, 1205u, 290u, 1575u). 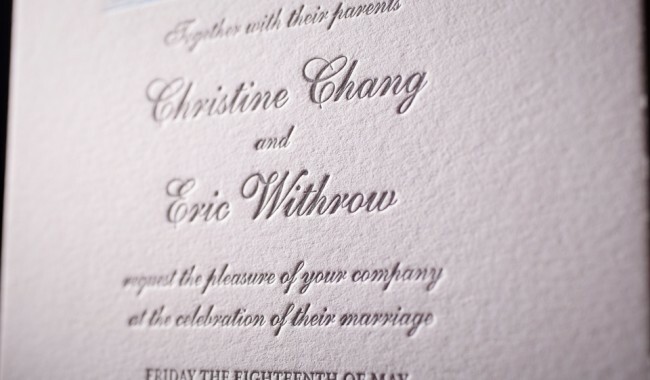 letterpress wedding invitation (5” x 7”), reply card, outer envelope and reply card envelope. 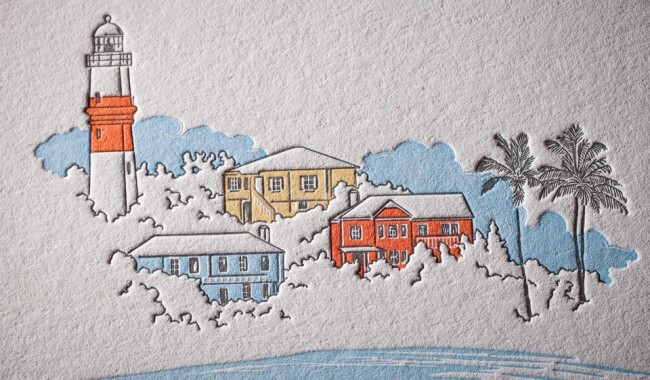 four color printing is somewhat unusual for letterpress but thanks to careful attention to detail and tender loving care from Dave, our lead pressman, the results are stunning.